The inexplicable collision involving the frigate KNM Helge Ingstad returning from the naval exercises of NATO has caused the Norwegian Navy to return billions of crowns, while the Greek-flagged and Greek-owned tanker will return to service for the purpose of December. 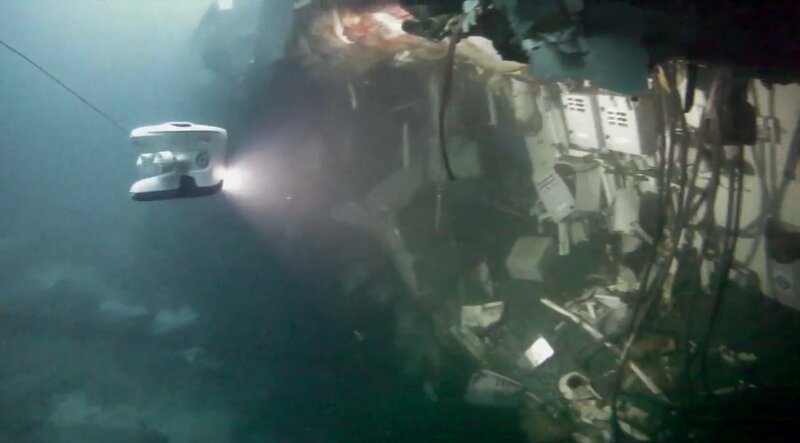 The Norwegian Ministry of Defense has published underwater images showing, for the first time, the extent of the damage to its frigate KNM Helge Ingstad, which sank after colliding with an oil tanker taken by an immobile object. The images, uploaded to Dropbox due to temporary website failures, were taken by a marine diving unit (MDK) normally used to plant and disarm underwater mines, ammunition and bombs. 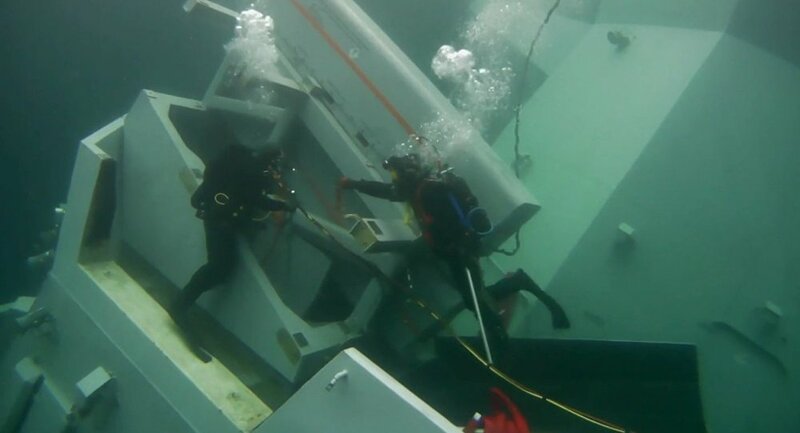 Its members have been diving around the frigate’s mostly sunken remains for weeks, eliminating ammunition, weapons and other dangerous materials. Previously, it was believed that the damage to the frigate’s hull was a long cut on the starboard side. The images taken from the depth of the Hjelte Fjord, where the ship is half submerged, indicated that the damage is much worse than thought. The cut was estimated at around 45 meters long and eight meters high. 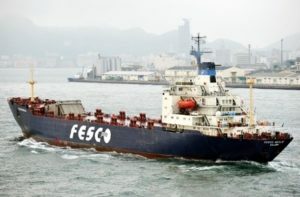 In contrast, the oil tanker suffered only minor damage and is expected to be operational again by the end of December. The video shows cabins and shattered rooms, broken floors and fans hanging from what’s left of the roofs. The images also show what used to be the accommodation area of ​​the boat, the bedrooms, the engine rooms and the generator room. Berdal said it was “pure luck” that the 137 people aboard the frigate survived the collision, with only a few minor injuries before being successfully evacuated in the early hours of November 8. Meanwhile, Rolf Ole Eriksen, a former accident preparedness officer at the Norske Shell oil company and now a maritime safety consultant, has written a blistering comment in the Aftenposten newspaper. In Eriksen’s own words, “only a miracle prevented a gigantic catastrophe that could cause great loss of life, fire, explosions and great contamination”. The frigate returned to its home port in Haakonsvern, Bergen, after participating in the huge NATO simulation, Trident Juncture, around Trondheim, and carrying arms, ammunition, missiles and helicopter oil, as well as its fuel. Eriksen was very critical of the preliminary report released by the Norwegian accident investigation commission, and he ventured that the researchers would downplay the severity of the collision between an element of the Norwegian Navy and a fully loaded oil tanker, and they opposed the responsibility. According to Eriksen, the responsibility rests with the crew on the bridge of the KNM Helge Ingstad, which according to the report “was not communicating,” he said. The frigate sailed at a speed of 17 to 18 knots, with its crew oblivious to its own whereabouts or the appearance of the tanker, which left the terminal of Sture in Øygarden, northwest of Bergen. “With its modern radar and navigational equipment on board, the frigate was able to track every movement of every ship in the area,” Eriksen wrote. A more detailed and conclusive report may take months to be published. Meanwhile, the frigate is mostly underwater. Around 350 people work every day in connection with the rescue of the frigate. Commander Berdal says that the work of the divers is “challenging” and depends on the good weather. So far, the rescue mission has been delayed several times by storms. The ship will not be lifted until December 25 at the earliest. The collision has cost the Norwegian Navy billions of crowns and has caused the maritime defense of the nation to be reduced considerably. Older PostHow Did Marine Life End During the Extinctions in History?